The Batur Caldera has been called one of the most attractive places on the island. The fact that it is not just a mountain but an active volcano inspires and attracts travellers from all over the world. To watch the sunrise in such a magnificent place is very symbolic. To make a fresh start, promise yourself to become better, set new goals or propose to your girlfriend. 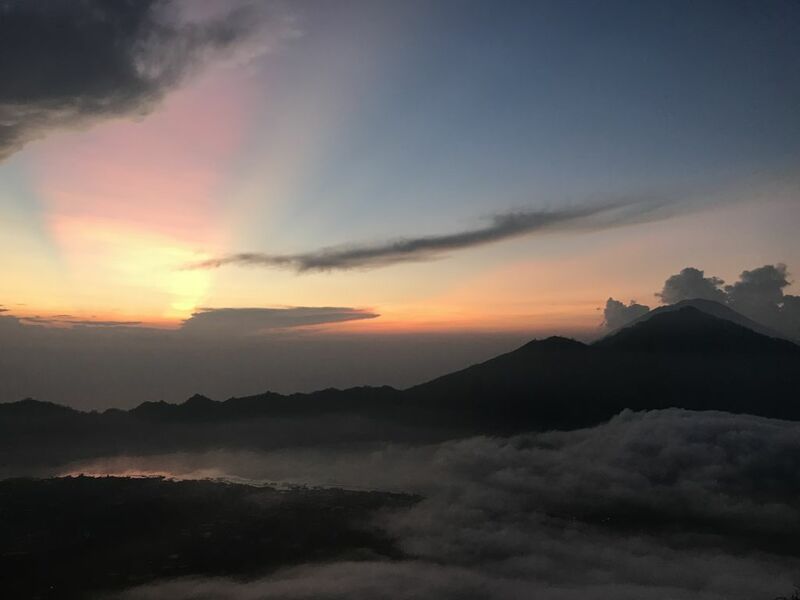 There is no better place to do it than during the sunrise at the top of the ancient Batur Volcano at the height of 1717 meters above sea level! To make the ascent to the height of 1717 meters above sea level of the Batur Volcano in the company of only your family and friends. We offer a private transfer and guide for the climb, as well as the opportunity to plan your time on the top of the volcano. At the appointed time of the meeting in your hotel/villa will arrive a driver of the transport company Maps Bali Tour, you need to wait for the car at the reception of your hotel or near the villa. After all the guests are picked up, you will go to the foothill of the Mount Batur. In the parking, you will meet your guides who will give you torches. The climb starts around 04:00-04:30 am and will include several rests stops along the way. At dawn, the guide will offer you tea, coffee, steamed eggs and a banana sandwich. You will have sufficient time to take photos and have breakfast. After dawn, all groups descend down to the volcano foothill. The driver will be waiting in the parking and will take you back to your accommodation. In the afternoon you will be at the hotel, the time of arrival at the hotel depends on the traffic and the location of your hotel. 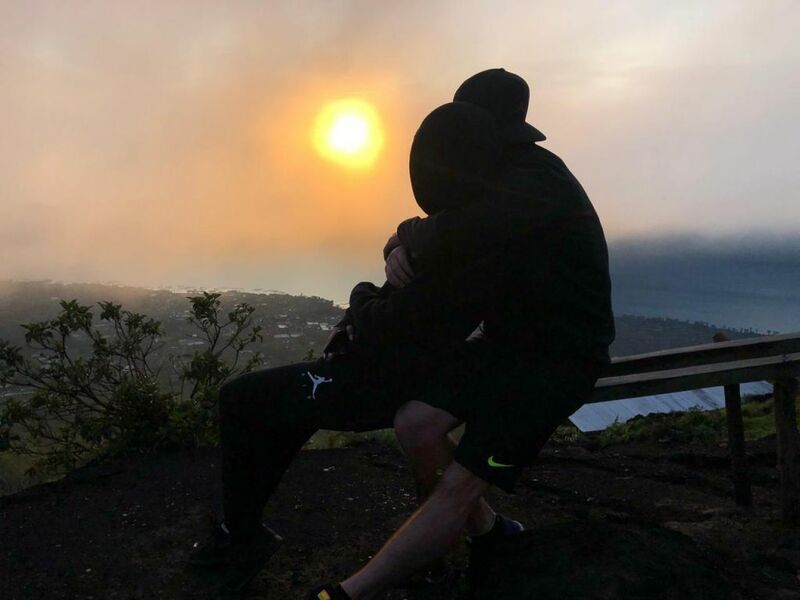 ● In accordance with paragraph 7.3.3 of the Terms and Conditions, the company MyBaliTrips.com is not responsible for weather conditions on the date of your climb. 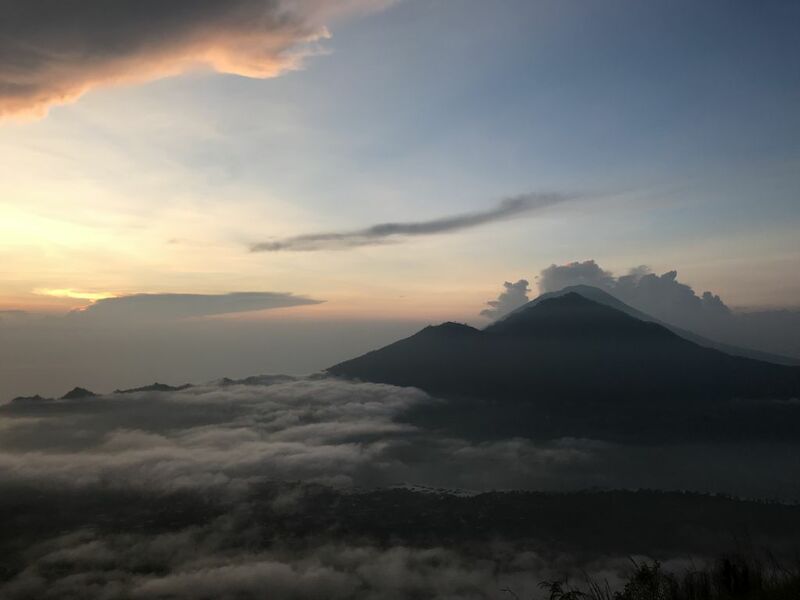 The weather in the Caldera of Batur volcano is unpredictable, fog, rain and low visibility are possible on the climb, especially in the rainy season. Manuela The driver was at our hotel just to the point and very friendly and helpful all time. Also our tour guide, who brought us onto Mt. Batur, was awesome. 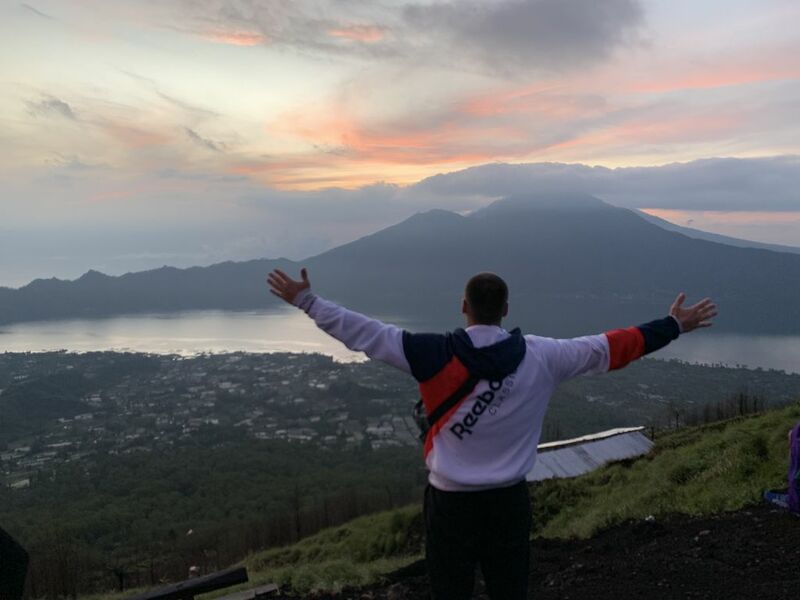 The Walk on the Vulcano is quite a challenge, but the awesome views are totally worth the struggle! Driving to the hot springs. I can totally recommend the tour, it was one of our highlights in Bali. Melissa I'm so happy we did this tour! Waking up so early and hiking during the night is absolutely worth it when you make it to the top. The view is beautiful and sharing breakfast at the top is fun. Closing the tour at the hot spring is the best ending, we didn't want to leave! 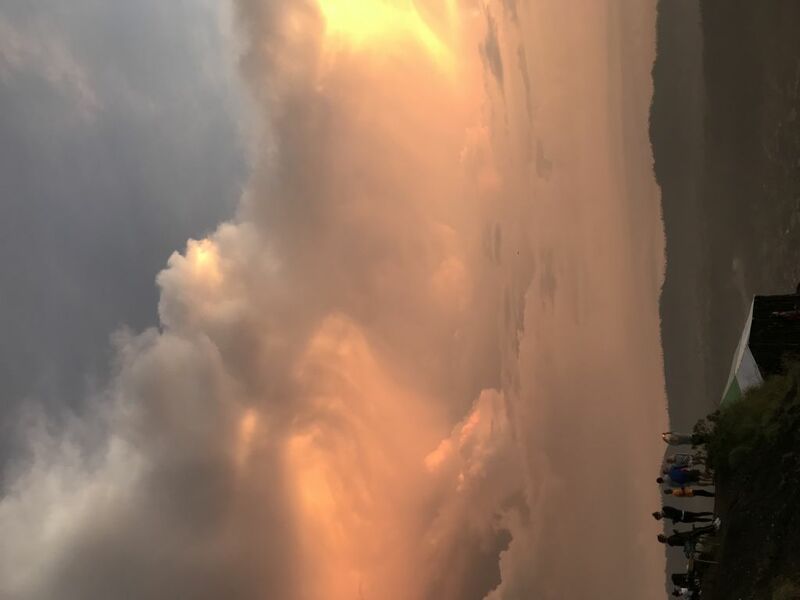 Really nice view and relaxing environment. Reto This trip is really excellent! Our driver picked us up from Ubud and after stopping for 2 further guests, we made our way to Mount Batur. All the staff were so friendly. The steep hike to the top was well worth the beautiful sunrise and we were lucky enough that it was a clear morning. The hot springs were much needed after the hike and were the perfect way to relax. Very pleased with having booked through MyBaliTrips. Водитель, гид на вулкан был очень внимательным и с хорошим английским. the price per person is valid when traveling from 2 people.